Rose and Neroli Hydrating Face Toner is created with pure plant actives designed to hydrate, nourish & refresh all skin types. Reduce redness and inflammation with these beautiful healing floral waters. Directions: Apply to cotton round after cleansing your skin with our ibah cleanser of choice morning and night or just when you need to hydrate your skin. 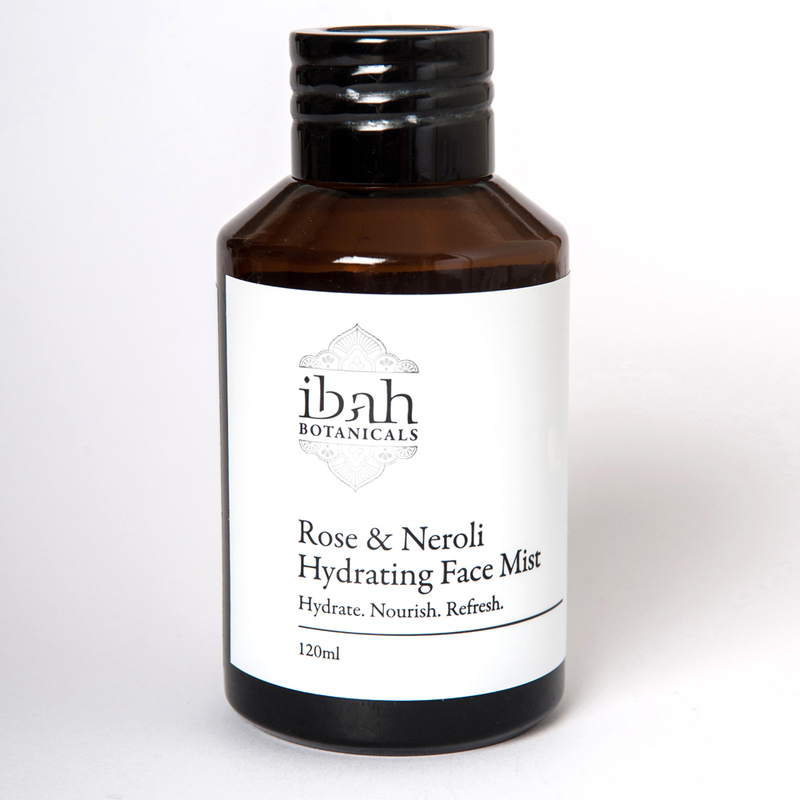 Use our ibah moisturizer to finish off your skin ritual. Rose Floral Water and Neroli Floral Water.